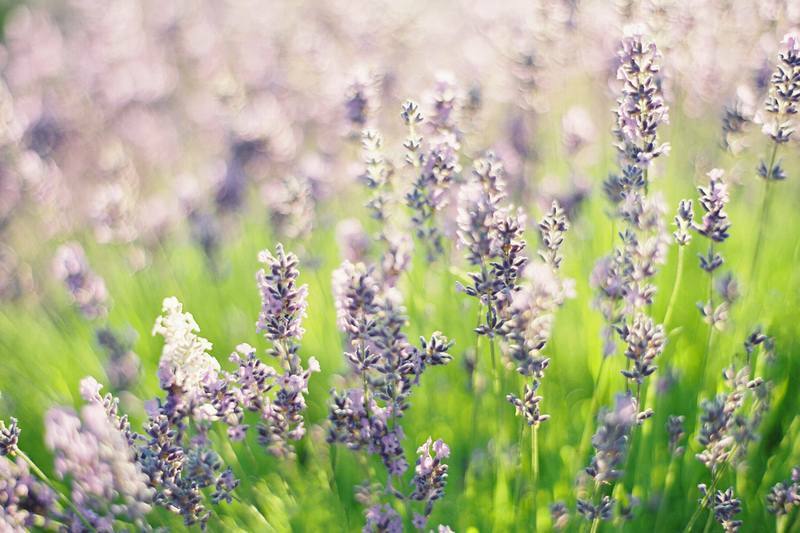 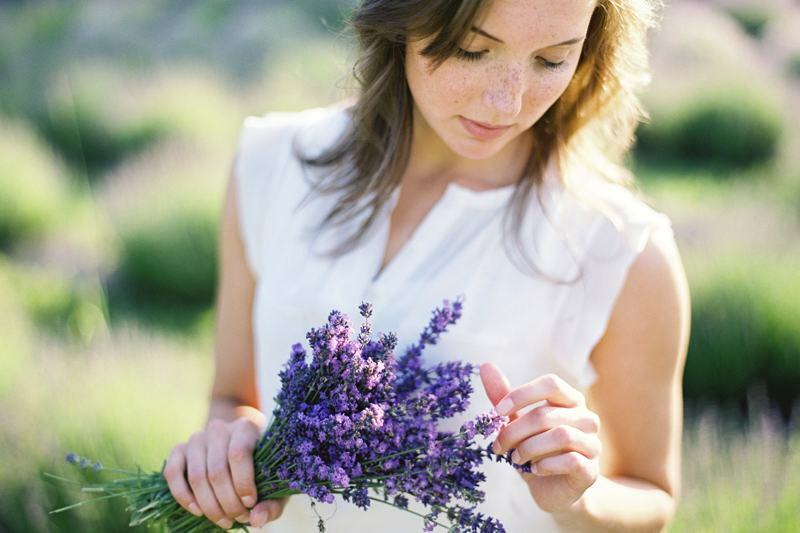 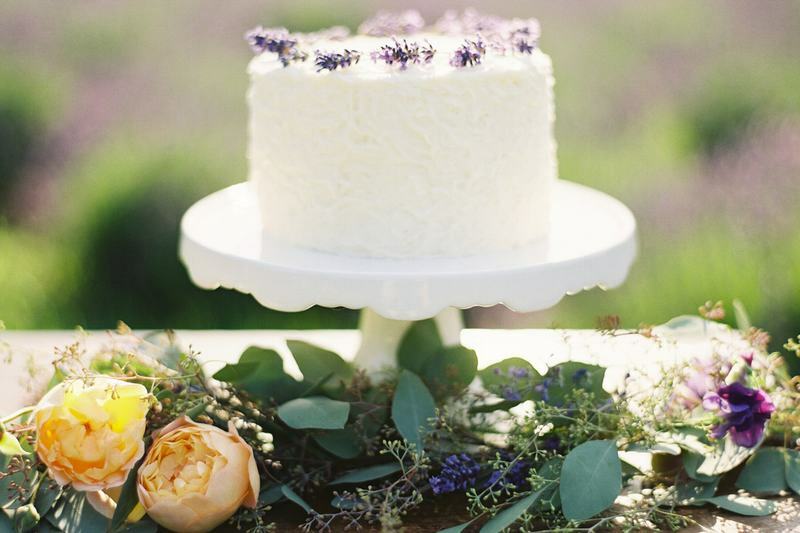 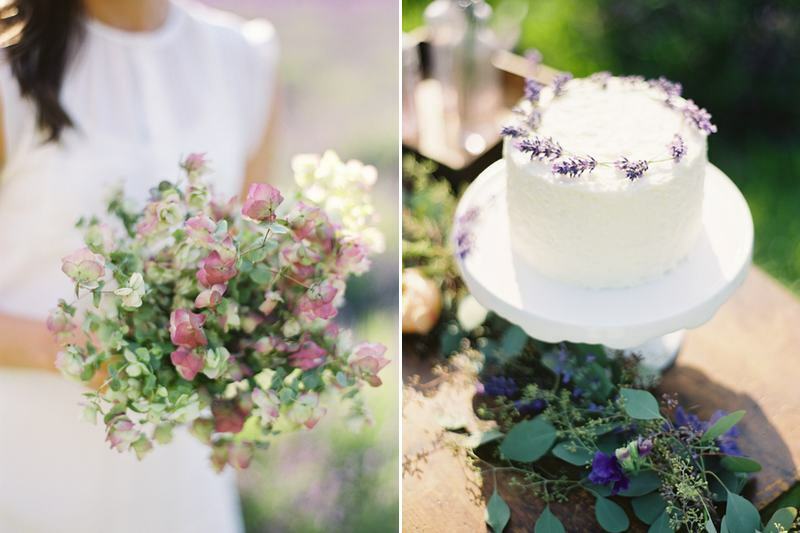 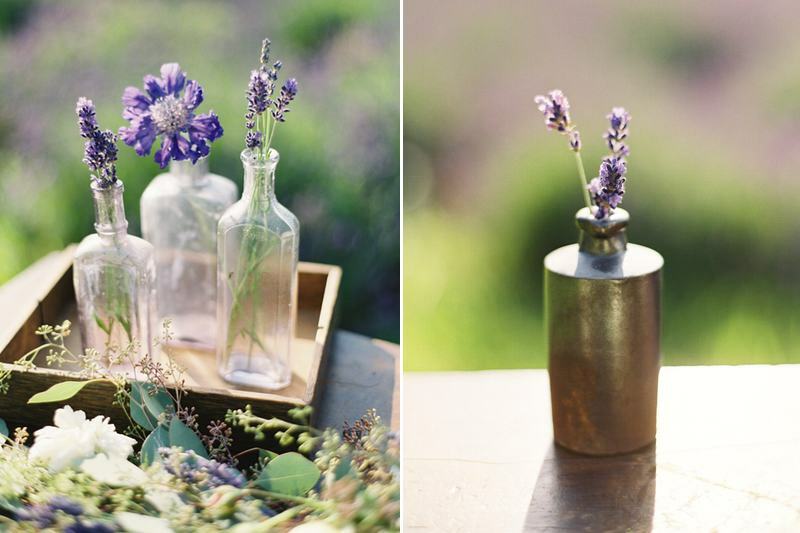 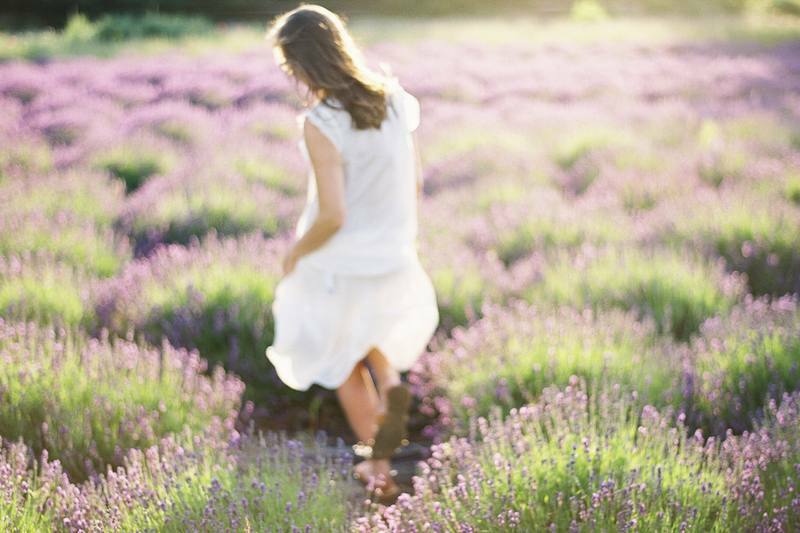 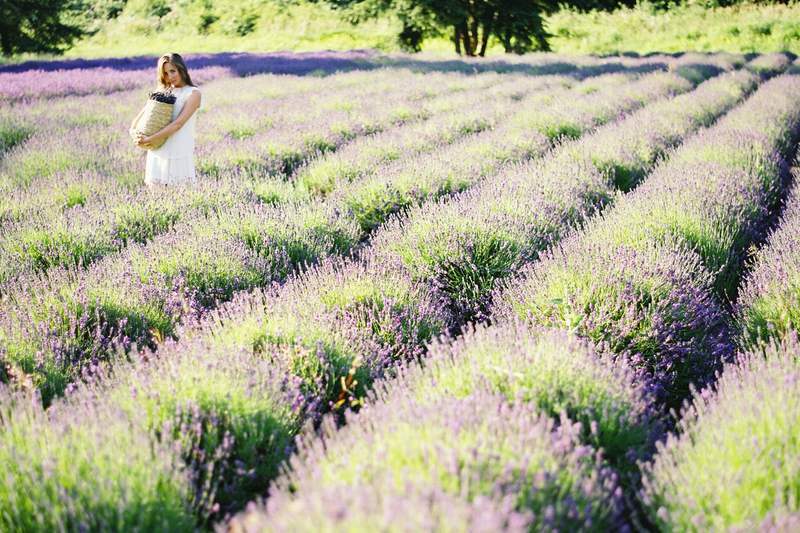 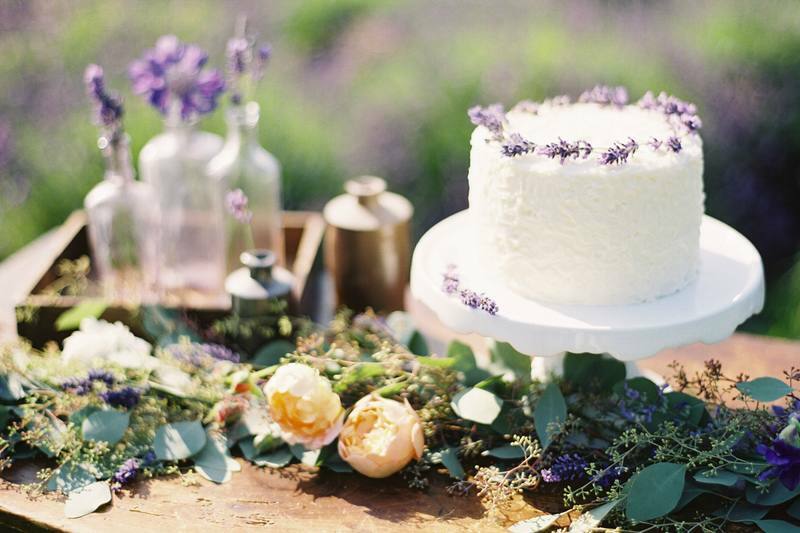 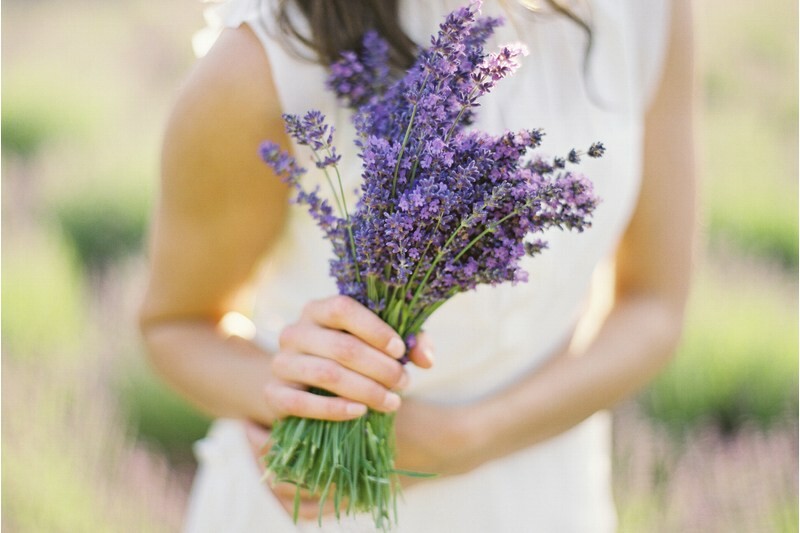 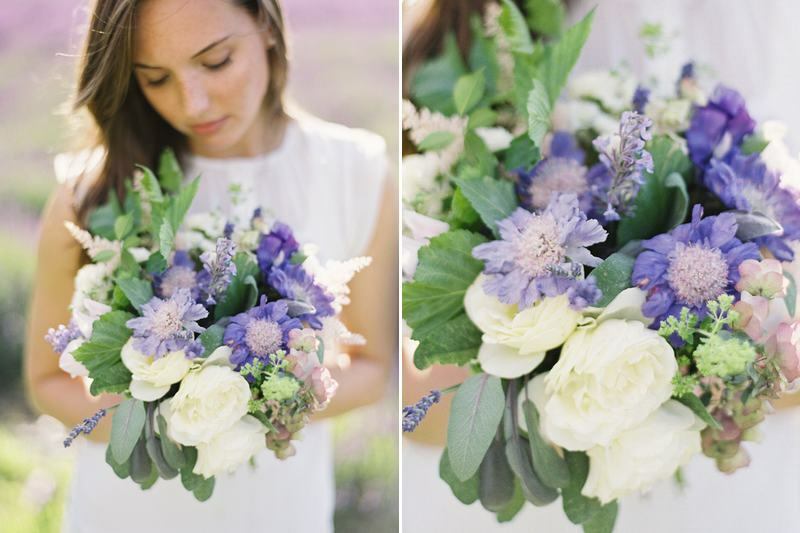 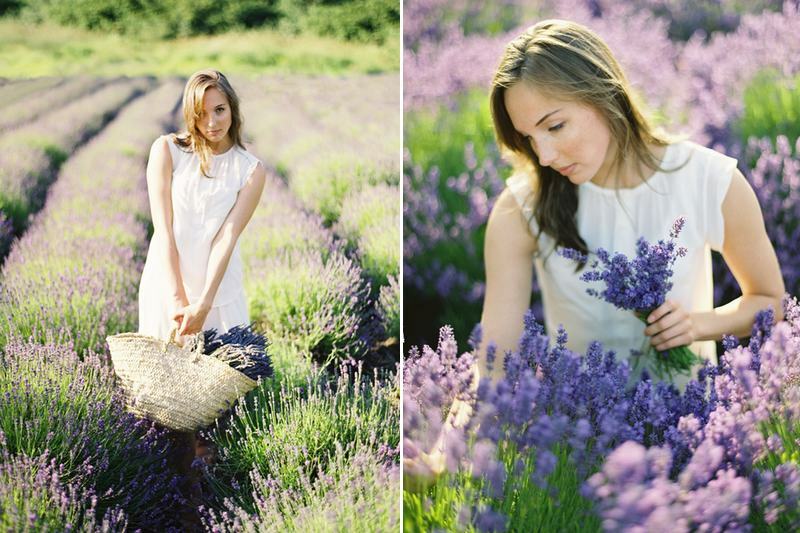 For this editorial shoot featured on Once Wed, I wanted to keep the décor soft and simple to complement and not distract from the stunning setting of the lavender farm so I chose a color palette of sage green, white, lilac and a faded orange. 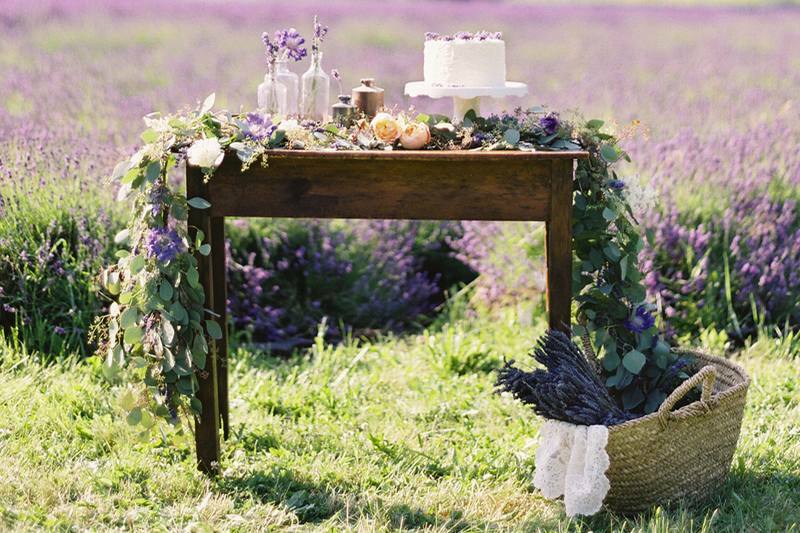 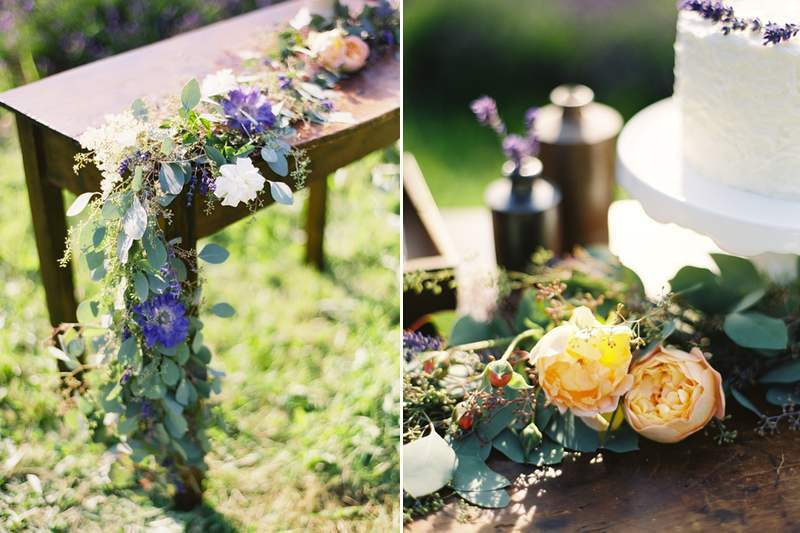 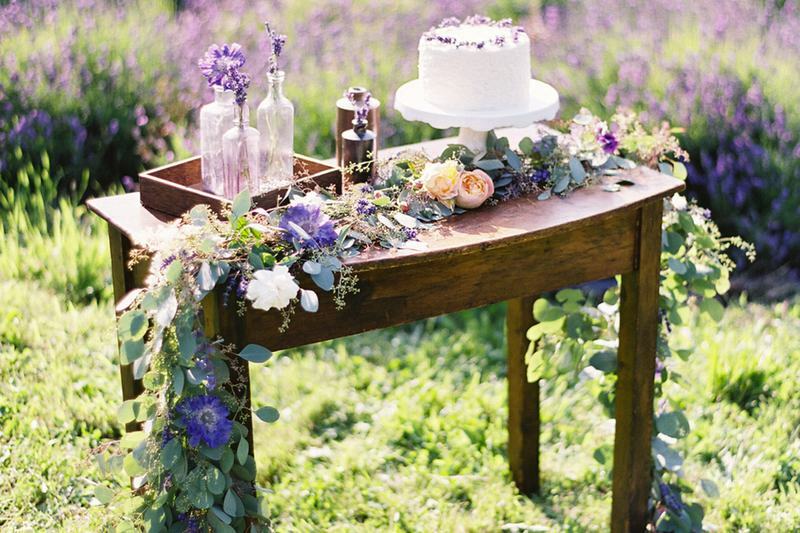 To decorate the beautiful rustic cake table I created a floral runner with a garland of seeded eucalyptus and worked in purple scabiosa, garden roses, sweet peas and lavender to add some color. 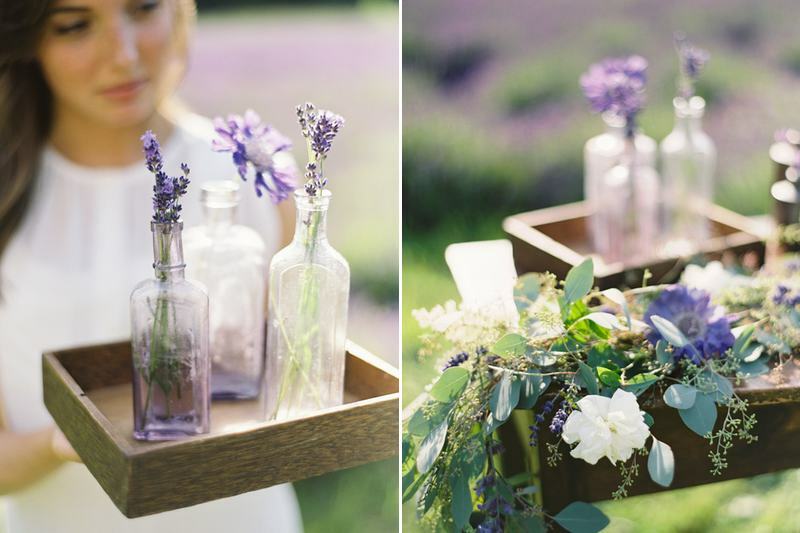 I added antique English vinegar bottles and vintage lavender glass from my personal collection for texture and height and draped the runner into a Provencale market basket.